Earlier this week in my movie discussion group on Facebook we were asked what the best acting performance by an actor under 13 is that we’ve seen. 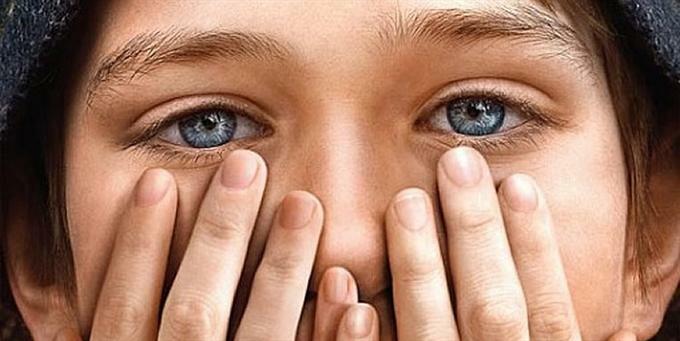 Those mentioned included some wonderful performances including Haley Joel Osment in The Sixth Sense, Natalie Portman in The Professional, Jodie Foster in Taxi Driver and even Dakota Fanning in I Am Sam. I added Saoirse Ronan in Atonement. But that all changed for me today — I saw Extremely Loud and Incredibly Close and witnessed a performance for the ages by 13-year-old Thomas Horn…in his first ever acting role…ever…not even a commercial or a school play. Simply amazing. Yes, the subject matter of the film is difficult and heart-breaking. It’s the story of a boy who loses his father on 911 and who goes on a quest to find the lock to a key that he believes his father meant for him to find. When the novel by Jonathan Safran Foer came out in 2005 many people thought it was too soon for a 911 themed novel. Some are even questioning whether we are ready for it 10 years later. But Extremely Loud and Incredibly Close is not a true story, it simply uses 911 as a backdrop for a powerful story of love and heartbreak. I’m sure there are people who were in New York on 911 who won’t see this film because it still hits too close to home, and I respect that, but they are going to miss one of the finest acting performances ever by an actor of any age. 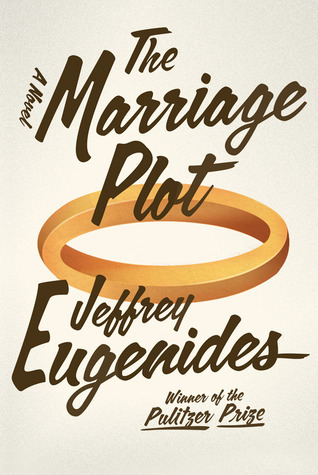 I read the novel in 2007 and was a little disappointed quite honestly, most likely because I was so blown away be JSF’s first novel (Everything is Illuminated) that the follow up was sure to disappoint. I liked the novel, but didn’t love it and now I can say this is one of the rare occasions for me when I liked the film version better than the book. Rare indeed. The film is superb and I would certainly consider it among the best films of 2011. It’s hard to watch, but you can’t take your eyes off of Thomas Horn. Horn has a very interesting life story himself. He was “discovered” when he was on Jeopardy during kid’s week and won $31,000. Extremely Loud and Incredibly Close director Stephen Daldry ( The Reader, Billy Elliot, The Hours) had been looking at literally hundreds of kids for the part and when he saw Horn on Jeopardy he knew he found his Oskar Schell. The role called for a special kid, one who was quirky, maybe even borderline Asperger’s. I don’t know how much like Oskar Thomas is in real life, but he hit the role dead on. If you know any kids with Asperger’s or similar issues you know they are often brilliant, precocious and moody as hell. Horn gave us all of those moments in the film, some of which were so expressive they seemed real. The scene in which he has a mental breakdown was heart-wrenching yet so powerful that he should be nominated for an Oscar based on the one scene alone. I will say, if young Horn is not nominated for a best actor Oscar there is no point in watching the Academy Awards this year because they will be a fraud. The kid stole a film from two Academy Award winners (Tom Hanks and Sandra Bullock) and Academy Award nominated actor Max Von Sydow. If George Clooney is the front runner for The Descendants (in which Clooney was very, very good) then Horn is a shoe in! I like to mix things up when I’m reading, so I will often follow up fiction with non-fiction and vice versa. I also like to check in with classic authors every so often to remind myself what great writing is all about (not that there aren’t any great modern writers, but let’s be honest…the Hemingways and Fitzgeralds are fewer and farther between nowadays). I have to admit though that I’m not a huge fan of the classics, but I do have a soft spot for American masters. Which brings me to John Steinbeck. Somehow I managed to get through high school and four years of college without having ever read a Steinbeck novel. The closest I ever came was seeing the 1992 Gary Sinise film version of Of Mice and Men. 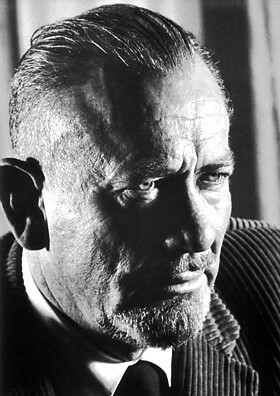 I always assumed that I wouldn’t like Steinbeck because he was too commercially successful, and that is in fact what many critics argued when he won the Nobel Prize for Literature in 1962. Then something interesting happened to change my mind — I read a Steinbeck novel! As a graduate student in English at NAU a few years ago I took a class in which we had to read East of Eden. I remember thinking to myself it was going to be a struggle and that I’d have to slog through it, but once I started reading the words on the page I was sucked in. 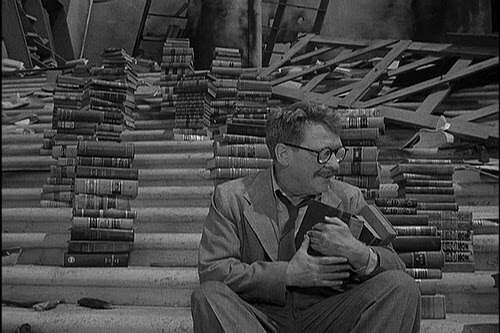 This post isn’t about East of Eden, but suffice it to say it is now one of my all-time favorite novels and features one of my all-time favorite literary characters in Samuel Hamilton. Steinbeck writes about everyday people and chronicled the American experience during his career, which spanned from 1927 with the publication of his first novel to his death in 1968. His political views played a major role in his writing, and his characters always seemed to say something powerful about what it takes to overcome poverty, hardship and even persecution. He was his generation’s Michael Moore, and for me that’s a good thing. He also touches on themes of religion and the difference between right and wrong, yet he does so without espousing any religious convictions or spirituality — giving him major points in my book. After I graduated from NAU I decided to go back and, over time, read the entire Steinbeck collection. I’ve since read Tortilla Flat, The Grapes of Wrath, Cannery Row, The Wayward Bus, The Winter of Our Discontent and Travels with Charley. This weekend, after several mediocre reads, I decided it was time for a palate cleanser so I am now reading To a God Unknown. After just a few pages I feel like I’ve been rejuvinated. It’s such a pleasure to sink into Steinbeck’s warm storytelling and near perfect structure. A few weeks ago author Jennifer Egan won the 2011 Pulitzer Prize for fiction for her novel “A Visit from the Goon Squad.” I was just finishing up a book, so I downloaded it to my nook and moved it to the top of my rotation. Yesterday I finished it and I’m going back and forth on it frankly. It doesn’t measure up to some recent Pulitzer winners like “The Brief Wondrous Life of Oscar Wao” by Junot Diaz or “Middlesex” by Jeffrey Eugenides, two of my all-time favorites. But I liked it. I hadn’t read any of Egan’s previous work, and truth be told I thought she was a chick lit author so I never even skimmed a jacket. I shall offer a mea culpa for that bit of chauvinism and admit right now that she is definitely a literary author. Goon Squad is a very modern tale written in a progressive style with interesting characters and told using a very unique literary device. Each chapter is told from the point of view of a different character, a character that you only learn about from the previous chapter. On top of that, the chapters jump back and forth across time so that there is no easy literary flow. I was intrigued by the device and at the same time confused. I thought the concept was great, but as a result it was very hard to follow. I sort of want to go back and read it again, this time keeping a flow chart of the relationships between all the characters! With or without the literary chicanery, the characters are all very interesting and the individual stories are fun. It was fun to read. But at the same time, I feel like I didn’t really follow the lives of the two main characters that well. The novel begins with Sasha, a young woman who we learn has a little issue with stealing things. She works for a record producer, Bennie, who was famous for discovering a popular punk rock band. Each chapter can be related back to Bennie and/or Sasha, even as they are told through the eyes of secondary and tertiary characters. For example, in one chapter Sasha’s uncle is wandering the streets of Italy looking for Sasha, who has run away from home. He interacts with her while there, so we learn a little bit about her motivation. That’s sort of how the novel goes. I won’t say anything else in case you want to read the novel, which I do recommend. 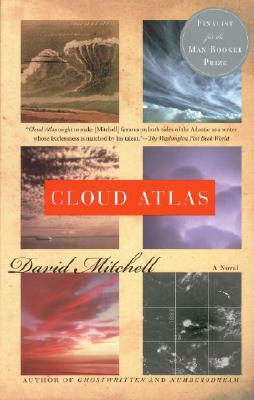 Along with the Pulitzer it has won numerous accolades including the National Book Critics Circle Award. It was a PEN/Faulkner Award Finalist and a New York Times Book Review Best Book. I think it has won so many fans because of both the unique way Egan tells the story and because it’s a modern tale that is very well written. I am definitely going to go back and look at Egan’s other books now and will consider adding them to my reading list. I read a lot. Many of my friends ask me how I find the time, but truthfully I don’t think that’s the right question. You should ask yourself if you enjoy reading, because if you do you will find the time. I don’t watch as much television as I used to for example. I have a few choice shows, plus sports of course, but most evenings I’ll sit on the sofa and read. Aside from finding the time to read, people always ask me how I find the books I read. That, my friends, is an art form! The fact is I am never at a loss for something to read because I keep a list of books I’ve run across that I’d like to read. You can do this with a simple word or excel file, or you can use a web-based tool like I do. I keep my list of to-reads on Goodreads, a wonderful free app that is sort of a social network for book worms. I have several “bookshelves” on Goodreads, including my “to-read” bookshelf, my “read” bookshelf and my “currently reading” bookshelf. Whenever I run across the title of a book that interests me I add it to my “to-read” list. Goodreads also helps connect you to other people who like to read, where you can share reviews and discuss books and authors. Another list I use is my nook wish list, which I use to keep track of books I may like to download and read on my nook. There are tons of great websites specifically designed for book lovers. A few I keep up with include The Millions, the New York Times Books site, Arts & Letters Daily, and Salon.com Books. My favorite bookstore is Powell’s, which is a chain in the Portland area. The employees at Powell’s recommend books online under Staff Picks. Find an employee who has similar tastes as you! Keep your eyes open for books wherever you are on the web. Lots of times I’ll read about a new book on CNN.com, or The Daily Beast. Use your smart phone to jot down a title you may find interesting while you’re flipping through a magazine at the doctor’s office or at a newsstand. Check out all the award winners. Each year there are tons of awards handed out for books and Powell’s does a great job of keeping track for you. They have current winners and past winners listed nicely in their Award Winners section online. 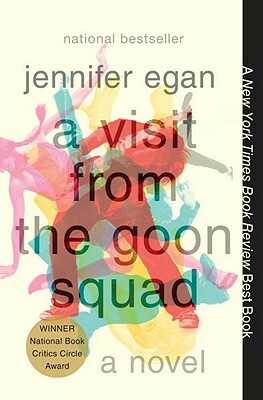 I just added A Visit from the Goon Squad by Jennifer Egan to my reading list after it won the Pulitzer Prize for fiction the other day. Use the Literature Map to find authors you’ll like. This amazing website asks you to type in an author you like, then it suggests similar authors. How cool! These are just some of the ways I find books to read. Now you may ask, with all these books on my “to-read” list how do I choose what to read next? Good question! That’s just a matter of mood. I just read a nonfiction book about food, so you can expect I’ll jump into some light fiction next. 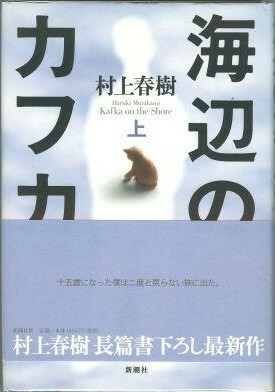 In fact, what am I doing blogging — I have to go decide what to read next! Do you have any idea what to eat? It used to be so simple, you just opened the fridge and cooked up something that looked good. But nowadays it seems like every day there are new warnings about certain types of foods and new specialty diets that swear they have the answers. Eat like the Japanese. No, eat like the Greeks. No, eat like grandma told you. Aargh! Eating isn’t as fun as it used to be, despite what Anthony Bordain thinks. If you’re like me, you’re concerned about your health but you’re just not sure what’s right anymore. I have a family history that predisposes me to adult-onset diabetes and heart disease. I’m healthy, but I’m a ticking time bomb. A few years ago, in his early 60s, my father had a heart attack and quadruple bypass surgery. In order to stave off a similar fate I went to a cardiologist who ran some tests, told me I was fine, suggested I pop an aspirin every day and come see him again in five years. Thanks doc, but that still didn’t help me understand what to eat. So I started reading. I haven’t set foot in a McDonald’s since reading Eric Schlosser’s Fast Food Nation. In Defense of Food gave me some good ideas and a manifesto (Eat food. Not too much. Mostly plants). The South Beach Diet was a bust (have you ever tried to eliminate carbs?). All that reading led me to think seriously about eliminating red meat but I did not. And of course it made sense to increase my intake of fruits, veggies and super foods (whatever they are). Then I saw the film Food Inc. and that pushed me over the edge — I walked out of the theater having sworn off all meat except seafood. Yep, I became a pescetarian. That was two years ago, and in that time I think the only meat I’ve had (aside from fish) is half a grass fed beef cheeseburger and a few bites of turkey at Thanksgiving. Unfortunately I am exactly the same weight and bored to death at mealtimes. And I eat way too many carbs! I have no idea what I’m doing. I’m not an ethical vegetarian — I’m a Darwinian so that would be hypocritical (survival of the fittest and all). I’m just confused and hungry. I saw an interesting documentary a few weeks ago called Food Matters, and that made me go out and buy multivitamins and a juicer. I’m still unsure about meat though. There are all those chemicals, antibiotics and all that darn corn. Corn huh? Maybe that’s the key? So last week I picked up Michael Pollan‘s The Omnivore’s Dilemma and started reading. He’s the unofficial spokesperson for eating healthy, and he eats meat. The book begins by posing the question — what should we have for dinner? I’m halfway through the book and have no idea what to eat, but I definitely have a new opinion of what it means for a food to be “organic” and now I’m not even sure that means anything. I am also convinced that corn is evil and grass is good. But I hope the second half of the book actually helps me answer the “what to have for dinner” question because frankly I could really sink my teeth into a big juicy steak right about now! I’ll keep you posted. And if you know what the hell I should eat I’m all ears.